The Alberta Chambers of Commerce Welcomes Proposed Cannabis Legislation for Alberta with a mixed approach of private and public sales, but there are unresolved issues for implementing legalization within the federal government's July 1 timeline. The Alberta Chambers of Commerce (ACC) welcomes the balanced approach taken by Justice Minister Kathleen Ganley and the Alberta Government when public sales of cannabis become legal on July 1, 2018. With the proposed legislation of Bill 26, An Act to Control and Regulate Cannabis, two kinds of cannabis retail sales in Alberta will be allowed: privately operated physical retail locations and government-operated online retail. The Alberta Gaming and Liquor Commission would be responsible for oversight of private retail, and details on licensing will be available early next year. “We are pleased with the government’s announcement to go with the private retail model as cannabis becomes legalized by July 2018. This direction strikes a healthy balance that supports free enterprise, responsible government and the safety of Albertans,” said Ken Kobly, ACC President and CEO. "Government listened to the public and they listened to affected stakeholders, including the business community. Clearly, the province worked hard to engage the public on this issue with extensive consultations involving more than 60 000 Albertans. The reality is the federal government put this issue squarely on the plate of the provincial government with very little notice, and I give the province full credit - they're going ahead," said Mr. Kobly. The province has been proactive and thoughtful in moving forward with this file but, given the complexity of legalizing cannabis within the federal government's very tight timeline, there are significant issues for business yet to be resolved at all levels of government. "One issue is that, likely, the vast majority of municipalities have no land-use category for permitted or discretionary uses for cannabis retail," say's Ken Kobly. "Land-use changes require statutory public hearings, which put significant pressure on municipalities to engage their community members and make the appropriate adjustments to by-laws in time for July 1, 2018." Ensuring the safety of Alberta workplaces is also top of mind for business and employers in Alberta. 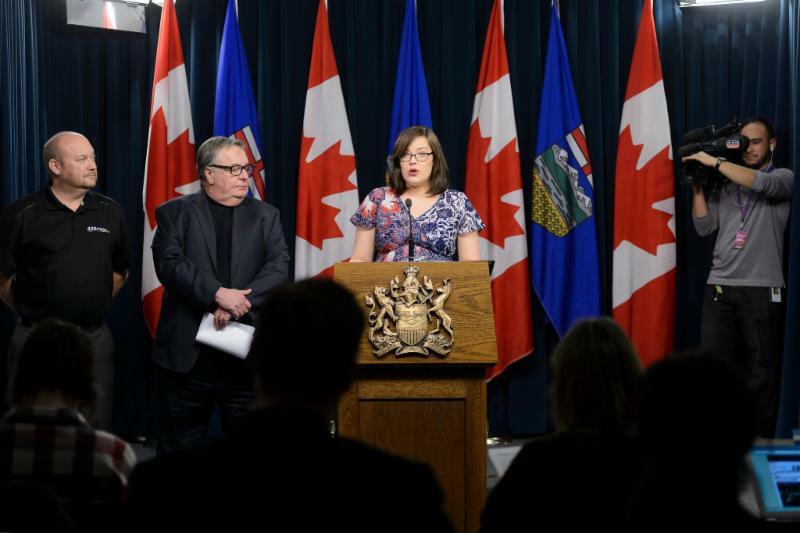 The ACC looks forward to working with Labour Minister Christina Grey to ensure Alberta's workplaces remain safe when implementation of cannabis legalization takes effect.